MANAMA, Jun 5 2009 (IPS) - A new family law for Sunnis, which protects the rights of women in Shariah (Islamic) law courts, was approved by Bahrain’s King Hamad bin Isa Al Khalifa, on May 27. Women’s activists have pledged to continue their fight for a just law for the Gulf Arab kingdom’s Shiites. The law-making lower and upper houses had approved the personnel status (family) draft law for Sunnis on May 18. The law has been drafted as a guideline for Shariah courts. Bahrain’s Shiites were excluded from the legislation in February after hardline scholars and lawmakers from the community threatened action, including nationwide protests and rallies similar to 2004. That year, street protests led by followers of conservative Shiite scholar Isa Qassim had forced the government to call off a campaign in support of the new family law. Khalil Marzooq, spokesperson of the largest Shii’te bloc Al Wefaq, that was behind the shelving of the Shi’ite chapter, told IPS that the draft law clashed with Islamic Shariah principles. Sunnis and Shiites have their own Shariah courts that deal with marital conflicts and other personal law issues. Women’s activists have been demanding one family law with separate chapters for Shiites and Sunnis. But Shiite Islamic hardliners say they fear it may be the first step to Bahraini Muslims being judged by the country’s secular, civil law – a charge rejected by Leftist lawyer Sami Siyadi who told IPS: "The penal code contains a section on crimes against Islam and family, ratified in 1976. It has been updated many times since, and none of the amendments clashes with Islamic principles." For nearly three decades, Bahrain’s Sunni and Shiite women have been demanding a fair hearing for women in the Shariah courts. Shariah law court judges are notoriously pejorative of women litigants in divorce, child custody, inheritance and marriage disputes. Women complain of being humiliated in open court by male judges. Hanan, who wanted to be identified by only her first name, said she was told to "keep her mouth shut" when she tried to explain how her husband no longer spends money on her and their children. "I felt humiliated and angry at the judge who was rude and insulted me in court," she told IPS. "I don’t deserve such treatment even if I spoke without permission." Hanan said the judge then turned down her petition without giving her a chance to argue her case. Shariah court verdicts here cannot be challenged under civil law. The Bahrain Women’s Union which has been at the forefront of the campaign for a new family law has vowed to keep fighting. Union president, Marian Al Ruwai, told IPS in an interview that any law that divided Bahrainis should be rejected. The Union, which has fought along with women’s groups for change over the past 28 years (the Union was established few years back), has consulted with religious scholars from both sides to draft a mutually agreeable proposal for a law based on Shariah principles. "Scholars from both sects highlighted their views, especially the Shi’ite scholars who stressed the need for constitutional assurances that lawmakers wouldn’t have the power to amend the legislation and over-turn the Shariah law," Al Ruwai explained. Shariah courts in this tiny Arab Gulf state of roughly one million people, deal with an average of 20 cases related to women every month, according to the Ministry of Justice and Islamic Affairs. Women’s activists say that even divorce cases filed by abandoned women who have the right to seek Khula under the Shariah – ask for divorce without the need to state reasons –were invariably rejected on trivial grounds. Shariah courts grant divorce only when women can prove they were physically abused by their husbands. Separation is not considered a ground for divorce. 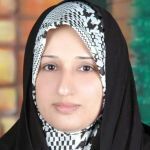 Take the case of Ruqaya, a Shiite, who works in the Ministry of Health, and has supported her three daughters for five years. Her husband left her to marry another woman. When she filed for divorce, she was blacklisted in her village. Worse, the Shariah court rejected her divorce case. The problem is that as a woman who is still legally married, Ruqaya cannot claim rights to housing and other social welfare measures available to Bahraini citizens. These rights can be claimed only by a husband. Afaf Al Jamri, a Shiite activist, says she is worried that women in her community may suffer more repression from "husbands and judges". "Many women are suffering in silence, especially those who were thrown out by their husbands just because they got old and were replaced by younger wives," she told IPS in an interview. According to lawyer Siyadi, Shariah judges have a tough time passing judgements. They have to search and search the religious books for the relevant guidance. "The new family law would specify what conditions apply to marriage and divorce, alimony, child custody and inheritance. That would be better than depending on individual judges’ opinions," he said. "Life is complicated, so leaving judgments in the hands of judges without the guidance of specific laws is difficult and unrealistic."